My boys are always interested in learning more about bugs. 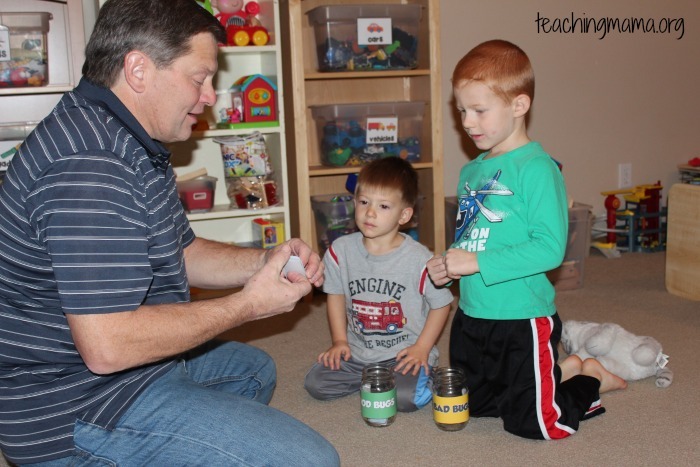 They are very blessed to have a bug expert in the family…their grandpa! In fact, my dad owns his own pest control company! One concept I believe is important to know, is which bugs are good and which ones are not. 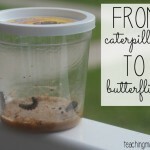 I don’t want my kids to be afraid of bugs, but I want them to recognize that they are helpful to the environment! 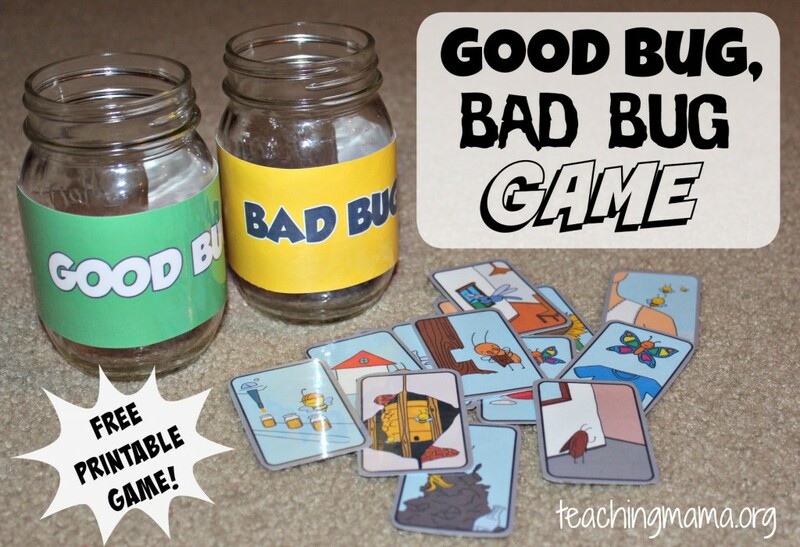 That’s why we came up with the game called Good Bugs, Bad Bugs. 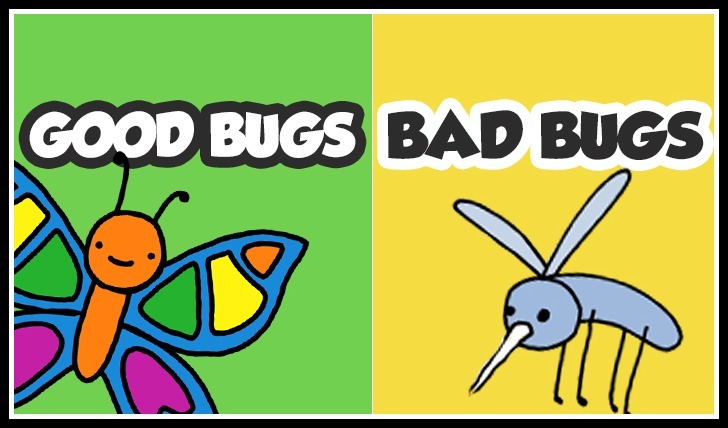 In this game, kids learn how bugs are good or bad. There are cards with different scenarios on each one. 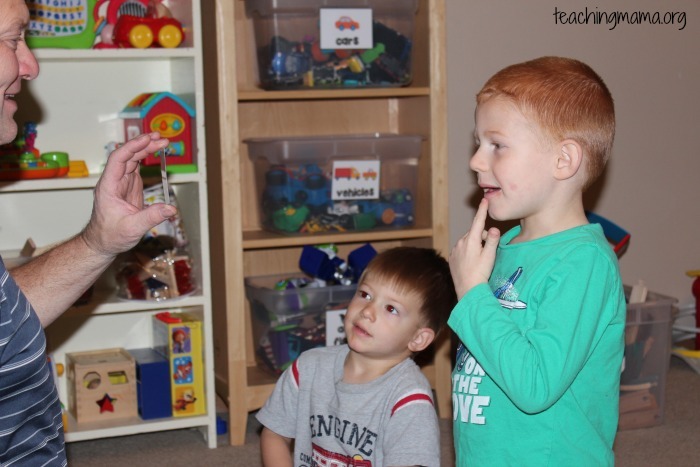 The child decides if they are doing a good thing or a bad thing. My dad (Mr. Bug Man!) came over to play the game with my boys. 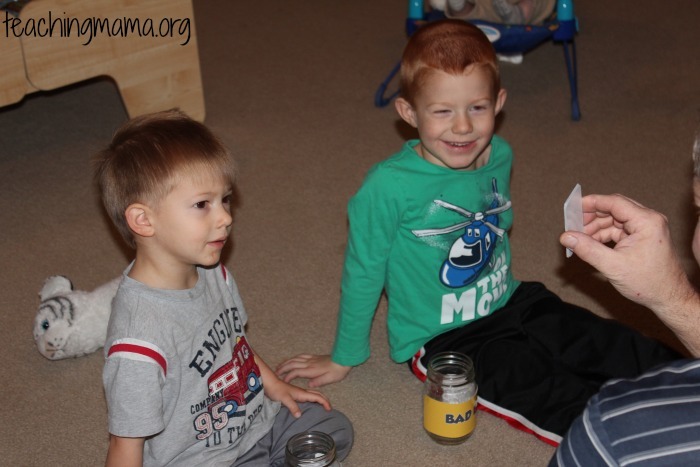 First, he went through the cards and explained what the bugs were doing and asked them if they were doing a good thing or a bad thing. For example, a bee makes honey (good thing), but can also sting you (bad thing). Here are some sample cards. 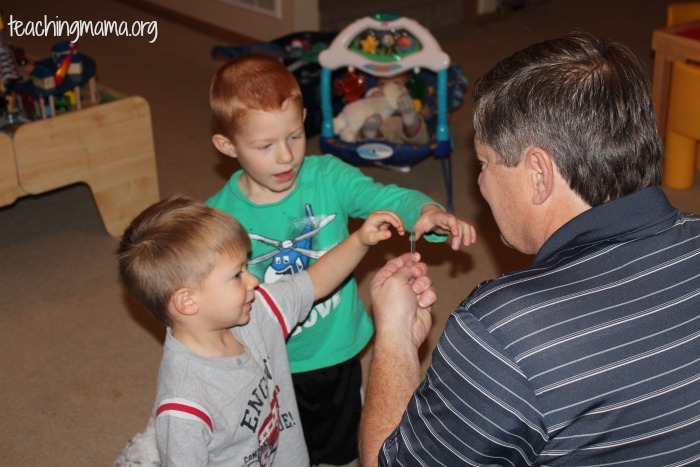 I think grandpa enjoyed teaching his grandsons about bugs! 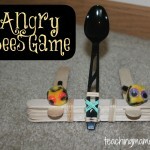 After we learned about the bugs, we played the game. 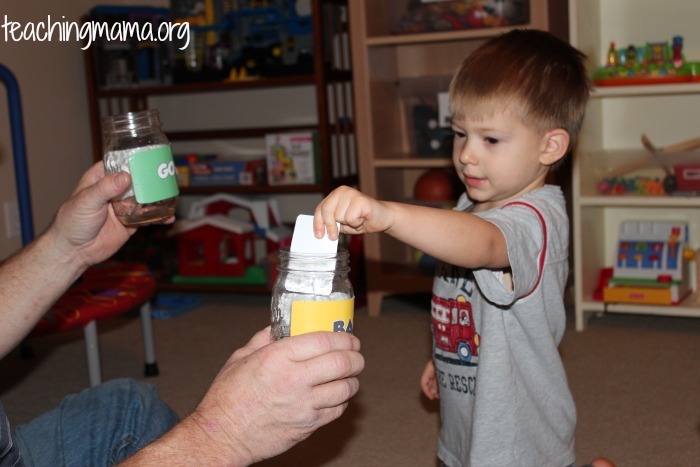 The kids had to decide if the card went into the good bug jar, or the bad bug jar. Here are the official steps of the game. 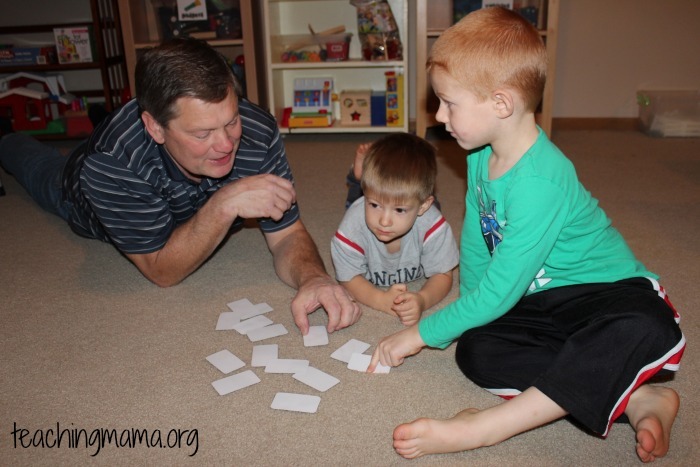 The boys also played a memory game with grandpa. They simply turned all the cards face-down, and took turns flipping over two cards. If the cards were the same bug, they were a match! Each pair had a bug doing a good thing and a bad thing. We had so much fun learning about bugs! 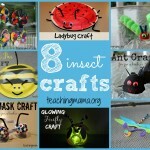 If you want to see all the bug crafts & activities we’ve done, check out this page. 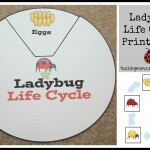 To learn more facts about bugs and insects, check out my dad’s website here. 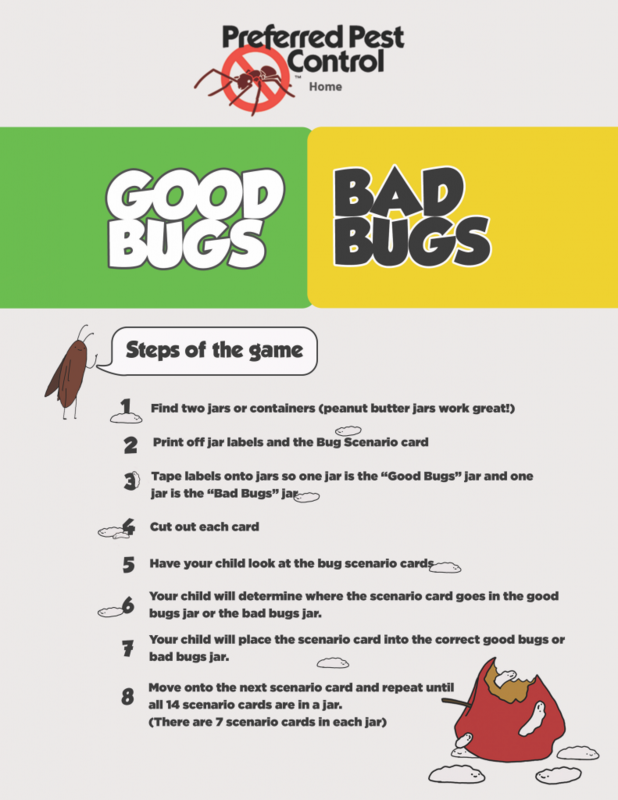 Lastly, here is some awesome information about bugs!! 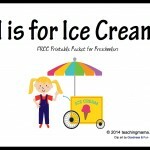 A great thing to Pin! 🙂 Have fun learning! 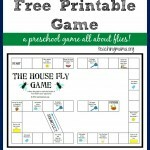 I need this game for our UCCE Fresno Master Gardeners Kids Garden Day May 9, 2015 as well as library presentations we make each month in Fresno County.